President Emmerson Mnangagwa is back from a two day visit in Pretoria South Africa where he had attended the SADC solidarity conference on the Saharawi Arab Democratic Republic. 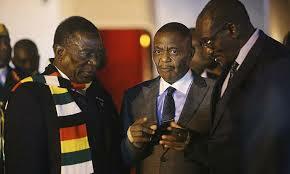 Speaking to the ZBC News the Robert Gabriel Mugabe International Airport this evening, President Mnangagwa said the SADC solidarity meeting has managed to galvanise support for the people of Western Africa who are under Morocco occupation. The regional leaders paid respects to the just struggle of the Saharawis’ whose territory was annexed by Morocco and Mauritania in 1975, following the withdrawal of Spain from western Sahara. Efforts have since been made to resolve the issue.